Those who follow this blog and the Divi products I develop already know that it all started a little more than a year ago, when I launched this site with a showcase of sites using Divi, a Divi Theme Detector and a blog about Divi. Shortly after that, in May 2014 I released Divi Children, a free plugin intended to automate the process of creating child themes of Divi. With the release of Divi Children 2.0 back in August 2014, a new generation of Divi Children was born. The plugin was no longer useful just because it made the creation of a Divi child theme easy, but the child themes created by Divi Children also had new customization options not available in Divi out of the box, thanks to the Divi Children Engine I introduced in the 2.0 update. For months it was my intention to release yet another milestone update: hundreds of Divi customizing settings would be available in the WordPress Customizer for every child theme created by Divi Children 3.0, not released yet for reasons I´ll explain later on this post. Then two weeks ago I released Engined, a Divi child theme that included all those features I´d been working on for Divi Children 3.0. And right after I published the Engined release post, as you probably know by now, a storm was fired. I´ve been called a spammer and a drama queen, and who knows what else because I was kicked out of the Divi Facebook group I used to belong to; some lies have been said about me, and some information about my future developments was also disclosed last week. Like I said, some people were not happy with Engined being free. So I thought I´d better publish this post to explain some things about the way I handle this site and the products I release through it, and to let you know first hand about my plans for the future. Everything I´ve done through this site so far, including its online tools, the Divi Children plugin and the Engined child theme, is free. Of course, I´m using some affiliate links on this site. I´ve never tried to hide that fact, I have an Affiliate Disclosure page from the beginning and I include an affiliate disclosure notice at the end of every post where I include any affiliate link (and I don´t include affiliate links inside post content too often, if you noticed). Besides, I only use Elegant Themes affiliate links on this site, so I don´t even expect you to use those links if you´re a Divi user already. That said, I want to make sure you understand this: My affiliate links on this site do not compensate at all for all the hundreds of hours I´ve been devoting to it and to the free Divi products I release through it. They do help a little, but they just don´t pay for my work. So it hurts me when I have to read things like “we are afraid to say that Luis gave very little and gained a lot“. When I began with the development of Divi Children, it was the Divi final user who I had in mind. Of course I thought many designers and developers would also find it useful, but I was surprised to see how many professionals were using it and talking about it. And I was glad about that. I knew many people were using Divi Children to make money because it save them time and made things easier or them, but that is perfectly ok with me, so I´ve never thought of making people pay for my plugin, no matter how many new features I developed and added to it. And the same things apply to Engined. If you´ve been following the unpleasant turn of events I had to go through during the past couple of weeks, you already know what I had to pay because I didn´t want to make you pay for Engined. And if you´re wondering whether there will be Divi Children Pro or Engined Pro versions in the future, my answer is as clear as crystal clear water: No. You´ll get the full package for free. The next generation of the Divi Children Engine that gets installed in every child theme you create with the Divi Children plugin took me too many months of development work. Not only because of the addition of new features, but also because some things changed during that development phase. Changes in the latest versions of WordPress core affecting the Customizer, modifications of the Kirki code I´m using for the Customizer controls, etc. I had to go all over my code several times in a time consuming way. And then Elegant Themes announced some of the upcoming features for the Divi 2.4 release. One of the things that worried my from the beginning was the ability to update child themes created with Divi Children. As new versions of the plugin were released, I wanted to make the new features available to any existing child theme that had been created with an older version of the plugin. After the first Divi 2.4 sneak peek post, I began wondering what features I had already developed for Divi Children would be available in Divi out of the box, or what new Divi features could even cause incompatibilities with Divi Children features. That´s when I decided to hold the Divi Children 3.0 release until I learned more about Divi 2.4, and to release Engined instead. Engined is nothing but a child theme identical to one that could have been created by Divi Children 3.0, except that it has already been created, it´s available for download and it already has a name: Engined. It will be much easier to update Engined than to take care of all the different child themes that could have been created by Divi Children 3.0 from its release (should it have been released) until the Divi 2.4 update. That means that once Divi 2.4 is finally released, I will update Engined accordingly. And, after that, I will finally release Divi Children 3.0. My plan is to keep offering both products: the plugin to create new child themes (Divi Children) and the downloadable child theme (Engined), since many people like to have a plugin like Divi Children that allows them to create as many child themes as they want, but some other people are just looking for a child theme that only needs to be downloaded and installed. They will both include the same Divi customization capabilities. And, like I said, they will still (and always) be free. I´m only human and this site does not provide a living, so I just can´t devote all my time to providing support for my free Divi products. But that´s completely different from what has recently been said about me: “when some people asked for support on Divi Children, they were given pretty short shrift and a common comment from Luis was ‘It’s a free plugin, I do not offer support.“. It´s simply not true. I´ve never said that. The closest thing to that sentence I remember saying is something of the sort of “I can´t be on duty all the time, plus you have to take into account that this is a free plugin”, and that was just on one occasion. But I´ve never said I do not offer support, leave alone it being a common comment from me. I know there are right now some questions from Divi Children or Engined users I haven´t responded to yet, just because I didn´t have the time, and I´m sorry about it. These past weeks have been absolutely crazy. I´ve tried to be as helpful as it was possible for me, and if you´ve ever needed support about my free products you probably know that already. So I will continue offering all the support I can, and I don´t plan to sell support on a “freemium” basis. Let me tell you something else. A Facebook admin who says things like “as admins we decided to have a closer look at Luis’s contribution to the group” and all the crap that followed (including “Now, compare that to the likes of myself“) is a very poor admin and is not doing his job for the benefit of the group. In the first place he doesn´t know how helpful I can be via emails, a lot of people ask for support that way from my contact page, out of the Facebook groups even being group members. And, guess what: even that very same group admin asked for Divi Children support via email back in November! But let me give you another example: Somebody has a problem with Divi Children and posts it on a Facebook group. I´m almost sure it´s nothing to do with my plugin but even so I take care of it and I even log in the user´s site after I get the credentials via a private message. I communicate with the user either via PMs, and provide the required support. The user has the problem silently solved but I don´t feel like going back to the Facebook post boasting I did solve it. So who´s the group admin to decide I´m not being helpful? Plans for a paid plugin? In an unprecedented kind of post, somebody whose name I would like to forget for life disclosed last week some information I didn´t mean to make public yet. He unveiled that private information for no reason (other than maybe try to make me look like a greedy person). But now that he did so, I will let you know more details about it. The reason I´m using the term “unprecedented” is because it´s the first time in my whole life I´ve seen a post that used the name of a particular person (me) as the title, was password protected, didn´t allow comments and was shared in a group from which the person whose name was used for the title had been previously removed (by none others than the author of the post and his partners in business). As you see, all fair play. You get the picture of the author. By the way, if you read that post, I want you to know that there were still more lies in it. For instance: “It is also true to say that the Admin that banned him was NOT aware of my testing Engined – (because Luis had asked me to keep it a secret!!! )” I did never ask him to keep any secret. All I asked everybody in the group of Engined test drivers was not to share beta versions of Engined with other people, in order to avoid other Divi users using copies of the theme which might prove to contain possible bugs, instead of waiting a couple of weeks for the final release. But if he insists on a lie, it must be just because the opposite is true. There´s a good latin phrase for it: “excusatio non petita accusatio manifesta” (he who excuses himself without having been asked, accuses himself). “I do have plans for a Divi paid plugin, but it is a product intended for developers only. I´d already developed part of the code and other parts can be easily adapted from custom features I´ve already made for clients, but now I would like to wait for the release of Divi 2.4 before I continue coding it, because a lot of things seem to be changing in the PageBuilder and other parts of the Divi code. This name of this plugin will be Divi4Devs, and like the name implies is not intended for final users. 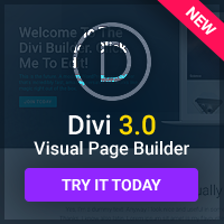 It will include very interesting features for developers like blocking things in the PageBuider so the final user can´t screw them up and many other features I´ve figured out Divi developers would appreciate to save them time and hassle. What I was talking about on that email was something that started many months ago, back in October 2014, when a client (and now a very good friend) to whom I provide custom Divi development asked me whether it would be possible to lock parts of the Divi PageBuilder so her clients couldn´t screw things up inadvertently. I checked that out and I thought it would be an interesting feature for many people who are using Divi on a daily basis and as a way of living. I did my homework, developed some code and saw it worked alright. Then as I learned more about the way Divi works I began devising other features a Divi professional would love to have, so it made sense to me to think about a premium plugin intended for the people who are making money with Divi. 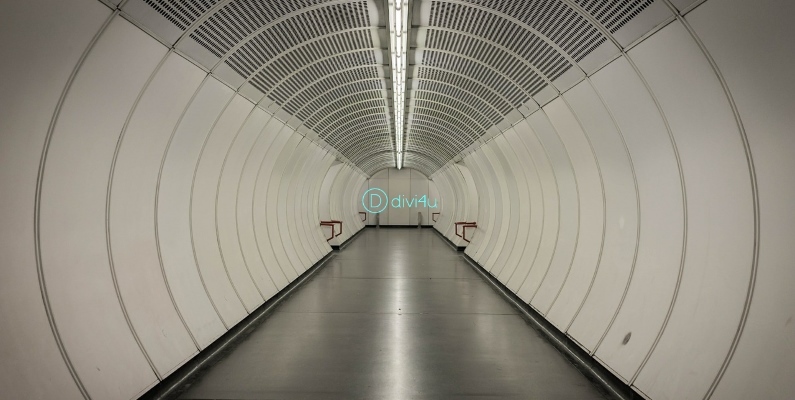 And that´s how the Divi4Devs project was born. After that, I´ve been looking for some other interesting features for developers and adding them to the basic Divi4Devs concept. Like I said, those features would not be things a final Divi user would appreciate much or even use at all, but a Divi professional would love to have. I won´t reveal the rest of the features I´ve devised for Divi4Dev yet, but all of them are aimed to save time, hassle and money, and that´s why I thought it could be perfectly right to make it a premium plugin. What I meant when I talked about that “killer combination” was this: Divi Children was conceived and has always been developed with the final Divi user in mind, but it offers ways of customizing Divi sites that can also be combined with another plugin, such as Divi4Devs, to get a final exportable, brandable, very compact custom child theme that would look as a product specifically developed for a client site. Once customized and finally packed, all the Divi developer would need is to install and activate the resulting custom child theme in the final site. No more adjustments or Customizer settings would be needed, the child theme would set everything by itself upon activation. Nevertheless, I gave my free products a higher priority over the Divi4Devs project. You can tell because you´ve seen how I have been working throughout the months on Divi Children and Engined but haven´t released Divi4Devs, or even talked about it so far. Would I finally release Divi4Devs? Although I keep working on it (albeit with a lower priority than my free Divi products, as I said), it all depends on several things. One of them is the evolution of Divi itself, I have to see how Divi 2.4 looks like and probably adapt a lot of code to the changes. Another important point is the commitment needed to provide support for a paid plugin. And, on top of it all, I want it to be a top quality plugin, a plugin really worth its price. Otherwise it wouldn´t make sense to me. So if all those factors finally fit into my idea of what Divi4Devs should be, I´ll release it as a premium, professional plugin. In any case (and I guess like anybody else I don´t like working in vain) sooner or later I´ll release at least some of the features I´ve been working on, one way or another. Does such a premium plugin like that make sense to you? A word of unsolicited advice… stop defending yourself. First there is no need to defend yourself. Second, and as importantly, it’s almost never effective and just further fuels the fire. Haters will be haters. I know how hard it is to just let the garbage fly around you, but you’d be better served if you just ignored it all. And a reminder.. you have a right to monetize your skills. Pretty much everybody in the DIVI groups is trying to make money developing and maintaining web sites. You do not need to apologize for developing a product that you will sell. The people who have benefited from your free products will have an opportunity to choose to buy your new product.. or not. Almost all ‘for profit’ developer tools web sites offer a mix of free and paid products. Many started with free products and as they built credibility, transitioned to paid products. Bravo… well done.. you earned the right to sell your work. Please keep your head held high. Continue your fine work. I hope that as you develop new, paid products, that you also find a successful stream of income that allows you to spend your time developing more products that will surely benefit many. Just my unsolicited two cents.. Thanks for your advice, Karen. But this post is not about apologizing, it is about making some things clear to the Divi community. After all that garbage I didn´t want anybody to think I was moving in a direction I´m not heading at all. The garbage is not always understood as garbage. That said, you´re right about everything else. I see no apologies here… What I do see in this post is more clarification and some additional uncovering of pertinent facts and truths for Divi users that have been intentionally covered over and/or obfuscated in a major Divi public (albeit “closed”) venue. İ have to agree with Karen, idealism is great but stay focused on whats important, in your case as ive read providing for your family, because others arent going to do it for you (which includes spending time with them). Otherwise, being free scares off businesses since the long term continuity might be too uncertain to build longlasting websites on (like me). You can keep providing your software for free, but at least offer a paid service level, this would work both ways. Just a thought, goodluck with your hard work. Make sense to me Luis. Wow, that’s incredible. The work you are doing is great and I really wouldn’t bother about all those comments – typical of social media crap. My only advice would be to just keep up this great job you are doing and completely ignore and stay away of social media, especially FB. Frankly, you don’t need them. Your own site is by far enough and provides all needed information. I’ve been reading your posts since the beginning and the only thing that maybe lacks clarification is your relations with ET: do you partner with them, exchange information, stay in touch – or do you completely work independently and by your own on those projects? This being said, and being myself an ET client, I don’t well understand how this company focused 99% of its resources on this unique theme since almost a couple years. Although I agree this a great theme – moreover with the additions your are bringing – it’ll never be a do-it-all theme as many people seem to think. 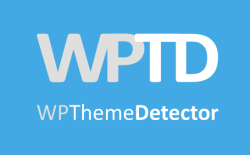 And there will never be a do-it-all WP theme out there. For the simple reason that we all need diversity; in life, work and leisure. I only developed a single site with this theme and, although I was and still am happy with that, never felt the need to apply the same receipt for other clients. There are more and more great themes out there and it’s simply stupid ignoring them by sticking with the same one. Again, thanks for your work and I really hope you’ll keep up the same way for a long time! I don´t partner with ET and, as you suggested, I work independently and by my own on these projects. I´ve tried to exchange some information with them because I thought my free products could make their support easier (for example, people using Divi Children would never ask ET about how to customize the footer credits, and so on). But no attention has being paid by ET to my work on Divi related products so far. Yes! I loved the idea of Divi4Devs plugin, and paying for that is OK for me. You make a excellent job with free plugins, and if they are not free anymore, I don’t mind about paying for that… In really, I think developers must have your income flowing, hour and hours spend in development must be recognized! Talking about this… going to make a donation for your job. Your Divi plugins are the best! (compared to commercial ones). I’m currently using Engined for my latest Divi site, now I don’t mind coding, but the time saved using your theme is a no brainer for me. Love the Live CSS feature in the Customizer too. Divi4Devs sounds very interesting and useful in a different way to your current free options. I feel it makes perfect sense that you should charge for it, after all it is aimed at developers who are making money from website clients. Kudos to you, keep the good stuff (free and paid) coming. I’ve been a follower and fan of your work and website for a good part of the last year. I have found your child theme invaluable and it is standard on all my Divi installations, and I’m currently playing around with your Engined child theme. I didn’t see the fracas that occurred on-line but I did read about it being mentioned somewhere. From what I can see, you’ve gone out of your way to help many developers and users of Divi and to date we haven’t paid a penny for it. Sadly in today’s on-line world many people feel the urge to air their dirty laundry in public but they only make a fool of themselves. Its probably out of jealously. You were one of the pioneers in supporting Divi outside of the ET Forum and kudos to you for that. The future project you have in mind I think will be an excellent resource for Divi. I can only see the theme grow in popularity. In recent months I have paid for a number of Divi specific plugins which I’m now wondering if I’ll need with the features that look likely to appear in Divi 2.4. However, I think what you have in mind will be invaluable for the serious developer (of which I hope to be one day). I would say stick to the plan that you have. Engined was a surprise for me, it showed just what could be achieved by thinking out of the box. The premium plugin will be a great addition to your site. Good luck! Have been following this since you first opened it up, and am a member of both FB groups, the new one you joined as well as the “old” one, as a viewer only so far. Am once again a bit blown away at how the lure of money and relative power can make some people so bloody ignorant and insane. It is a choice though, whether folks realize it or not. The kind of choices you are making are the ones that lead to a better world, and the kind of choices I attempt to live by. I have watched your plugin’s progression during this entire time and am proud of ALL you have done and accomplished. There is no reason to defend yourself to ME – you deserve to be paid for EVERYTHING you’ve published and I am VERY disappointed in these ppl that are giving you so much grief. I have even decided to remove myself from this group. I’m COMPLETELY for your monetization of the development plugin and know that it will see great success! Luis, thank you for all the effort and long hours you’ve invested in Divi Children and Engined. You’ve made a lot of Divi lives (even!) easier. I truly appreciate your work, generosity, and openness. And I know I’m not alone… Maybe Divi4u lovers are just quieter, be we are here! Wonderful! Then a largely ethical world it is! Haha, I didn´t exactly mean the world is largely ethical (although that´s what I said by saying it was the other way around). But what I really meant is that I do believe most people in the world are ethical. The problem is that people who are not make a lot a noise, cause a lot of trouble and make the world look like a worse place than it really is. That at least is my honest opinion, and anyway I´m not foolish but I´m happier thinking that way. Looking forward to checking out Engined–how will it work with the Divi 2.4 update? Also, images on your blog comments appear to block out text on Chrome if a gravatar image is being imported. Andre, I agree with Karen and at the same time I am confused. WHY and against whom are you defending yourself? Everyone in the group knew and appreciated the immense contribution you to made to the group. I myself received your help through PMs. A lot of us left the group because of the dishonest and underhanded manner in which they dealt with you; which incidentally, caused a furor among the members who demanded an explanation from the admins of the group. We all are in business to earn money. If you were selling Engined, we would have gladly paid for it. I wondered why you were giving away something you could earn a lot of money from and I realized that it was your “giving” nature and genuine willingness to help the less-experienced that drove you. The real issue with the perpetrator(s) is that you were giving away something that, for one, made two of their products practically redundant and two, they saw an opportunity to make more money by getting a slice of the pie if you made your plugin a paid product in their “marketplace” but you refused to play ball. By refusing to play-along you became a threat to their operation. They would have lost sales due to your free product being superior to their two, combined. We all saw through the BS excuses that were made and many left and there are more who will abandon ship and join the group we are in now because of the connections we all made with each other in the group. We are neither blind nor foolish. I am sleepy at this time but I would not fall asleep until I wrote this. Please continue to do what you are prone to and forget those who would stand in you way, should you let them. You have no case to answer to. Keep going in the direction you are heading. I am following two steps behind you. I totally respect you and your programming ability. Thank you for this post. Why don’t you go ahead and create a FB Group, and we can all try to help each other out with issues that may arise in our on frustration. I would certainly join, and I am sure most others would as well. Knowledge is a powerful tool. After all what happened with that unfortunate FB group, it wouldn´t be a good idea for me to create a new one. I wouldn´t like to be the admin of yet another Divi related group, I can perfectly fit in any existing group as long as the admins don´t consider it as their own money making machine. Your help has been a invaluable to me. Without Engined I wouldn’t have been able to even get a start on my site (even though it’s far from done). You answered my email the same day and your theme just made it so much easier. I just wanted to thank you once again for all the work and hours you put into offering brilliant free products. Your hard work has helped me so much to get started and I hope I can help someone else the way you’ve helped me without even realizing it. I agree with everyone else. There’s no reason to keep apologizing. You do amazing work and when you decide to launch the Divi4Dev, I’ll definitely be one of those people buying it because your track record with plugins is impeccable in my book. You have made my life and others so much easier with your plugins, so never apologize for monetizing one of your plugins, especially considering all of the hard work, heart and soul that you put into your plugins. I’d love to know the new group that you’re in so that I could join it. Would you mind shooting me an email with the Facebook group name. Thanks and keep up the great work. Will definitely be buying whatever plugins you’re offering that will make Divi more flexible for me to manipulate. Even though it will probably be difficult for you – my advice is to try to forget, or at least leave behind you – the Facebook incident. You should know there’s a lot of people admiring the outstanding work you have done to help Divi become one of the best WordPress Themes so far. Also, it’s incredibly generous to offer free downloads of both Engined and Divi Children, and to take the time to answer calls for help. Rest assured, Luis; you have a very large fan-club, and I for one hope you’ll continue to make life a little easier for all Dive users. It’s a real pity this Facebook debacle has made life – temporarily – a little more difficult for you. I would buy Divi4Dev. I recently started using Divi and love it. I have Divi Children and Engined. Being a newcomer to WordPress sites I am still in the learning process… http://www.wordpages.net. I do hand code my regular websites though (www.pageduster.com) but need to offer responsive websites. Can’t wait for Divi4Dev. I’m really shocked by the way you have been treated in the fb group and would like to know which group is the other one you’re mentioning. I am new to all this Divi stuff and pretty much a novice at WordPress and everything related to it. All I know is that I was surprised there was not a Divi Child theme included in my purchase of Divi, and you solved that problem for me, and for free. I just want to say thanks for offering a child theme solution that even I could understand; and doing it for free. Let the haters hate and keep on doing your thing. All the best!